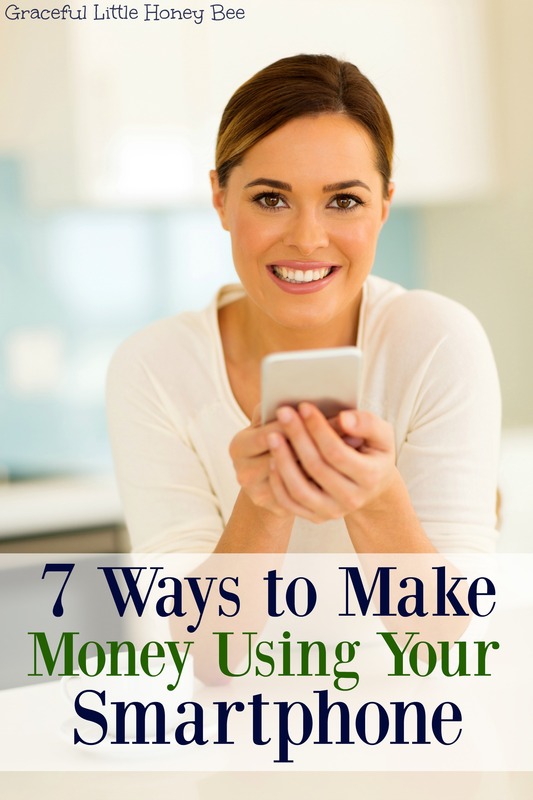 I love finding new ways to bring in a little extra money each month and there are several ways that I do just that using my smartphone. I know there are a ton of apps and websites out there that you can make money with, but today I’m sharing with you the ones that I use on a regular basis and have personal experience using. I’d love for you to leave a comment with your experience making money with your smartphone so that we can all learn together! Ibotta is my favorite grocery rebate app. They offer a ton of store specific rebates including rebates on generic items such as bananas and milk. Simply open the app while making your grocery list and see if there is anything you need or have a coupon for, purchase the items and then scan your receipt when you get home. Plus, you can earn bonuses when you refer friends or complete different tasks. I normally earn around $15-$20 a month with this app. I love it! Click here to sign up and start earning! Checkout 51 is anther grocery rebate app that I used for a long time. They don’t offer as many rebates as Ibotta, but the good thing about them is that they aren’t store specific. This means that you can use this app and get rebates no matter where you shop. Click here to sign up and start earning! Wal-Mart Savings Catcher is where you scan your Wal-Mart receipts and get cash back if there is a competitor with a lower price in the area. I love this app because I’m always shopping at Wal-Mart, but don’t always remember to price match. Click here to sign up and start earning! Swagbucks is one of my favorite ways to earn a little extra money from home. They have several apps that you can download and earn by watching videos on your smartphone. These apps include Swagbucks, Swagbucks TV, EntertaiNow, Lifestylz.tv and Sportly.tv. Click here to sign up and start earning! Bing is a search engine that is just as good as Google (I promise!) where you can earn points for searches. You can later redeem those points for gift cards. You earn 1 pt for every 2 searches up to 25 per day on the computer and up to 10 per day on your mobile phone. I earn $10 per month in gift cards just for searching the Internet and it only takes 5 minutes or less per day! Click here to sign up and start earning! Ebates is an awesome app for people who do a lot of online shopping. They offer cash rebates at over 1,800 online retailers. I’m kind of late to the party on this one because I just started using it, but I’m excited to look into it more and share about my experience in the future. Click here to sign up and start earning! RetailMeNot is an app where you can search for coupons or coupon codes at major retailers. I regularly use this app at places that almost always have coupons out such as Kohl’s, JcPenney or The Children’s Place. Simply open the coupon and have the cashier scan it at the register. Click here to sign up and start saving! What’s your favorite way to make or save money using your smartphone? I’d love to know!